“The philosophy of fell running is that for senior competitors, you the runner are primarily responsible for your own safety while competing" . Dark Peak Fell Runners exhorts its members to apply this philosophy to all club activities whether races, club runs or entertainments at the annual barbecue. For more information on personal responsibility and equipping for the fells and for fell races refer to the Safety page and FRA website. As well as the delights of running with the club on a Wednesday evening and exchanging news, gossip and wisdom with your fellow runners in the pub afterwards, Dark Peak offers its members a host of other advantages ranging from website facilities to Christmas Carolling. For more info on Wednesdays click here. The number one perk of course is the right to wear the club's unique and distinctive peat coloured vest. The DP Website including calendar (or subscribe to the calendar here) and results pages with its range of handy extra features, carshare and warts blogs, up to date local Access information and a whole lot more. Dark Peak News. Our exclusive full colour newsletter. Member's races. These are many, varied and challenging and include the hotly contested club championship race each year in November. Also leagues for local runners and those who travel further. Long Distance Challenges. Members frequently attempt the classic Bob Graham, Paddy Buckley and Ramsey rounds as well as the Joss Naylor Challenge and lesser know feats. 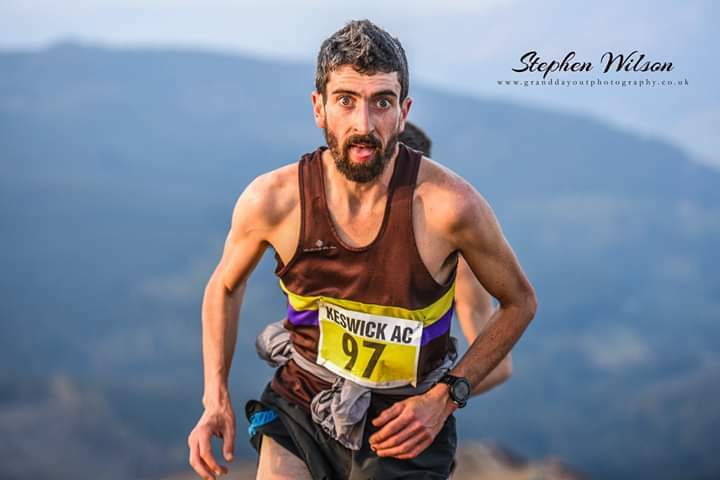 The Bob Graham has a special place in the Dark Peak calendar in June when the combined experience and support of the club comes together to help aspiring contenders achieve their aim. Also a pretty good social weekend! Club team competition. 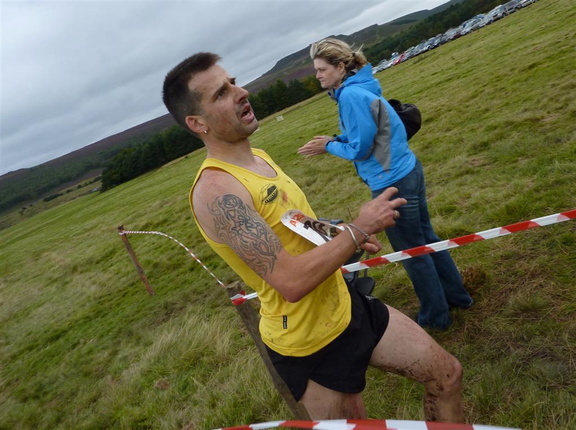 Each year Dark Peakers of all categories compete in the prestigious FRA British Relay Championships and Ian Hodgson relays as well as the lower key Calderdale relay. It is rare for club teams not to receive honours in these events, or in the team categories of the English and British Championship series. Awards. Some for prowess in local races - and one for incompetence on the hill. You have been warned! Skills Training. The club is currently holding occasional training days in Navigation, First Aid or Mountain Skills for the benefit of members old and new. Open Access – the CROW Act gives us access to all areas that have been mapped as Access land. This generally means all mountain and moorland. Access land is shown on the latest OS 1:25000 maps. If there is no stile or gate, you are still legally entitled to enter access land as long as you don't cause any damage to walls, fences etc. Consider carefully before doing this, we need to maintain good relations with farmers and landowners. Fees are payable every January. Annual membership of Dark Peak Fell Runners costs £15. For the unwaged this is discounted to £8. There is an extra levy of £14 paid to England Athletics (part of UK Athletics) for non-members of the Fell Runners Association. This is optional but without this they are not eligible to score in British and English Championship races. DP affiliates to UKA for fell running only. There is no conflict if you already belong to or join another club which does not affiliate to fell running, (e.g. Hallamshire Harriers locally), but if your current club does affiliate for fell running (as most do) you have to jump through a few hoops with UKA/EA to change your allegiance before you can represent Dark Peak. “Second Claim" does not apply in fell running. Put simply, you can belong to as many clubs as you like but you may only represent one on the fells and this must be the one you have been a member of the longest. You could therefore rejoin your previous club for road running, training etc after you are in Dark Peak. Links to the forms required are below in Further Information. More details and advice can be obtained from the membership secretary.